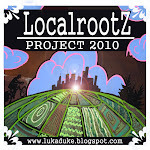 Localrootz Project: the First Winter Farmers Market of 2011 ! 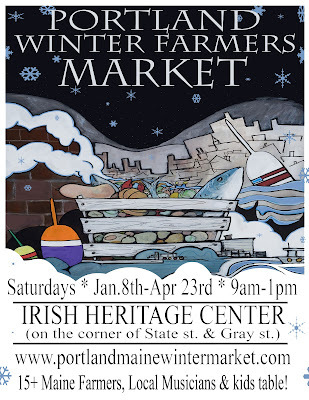 the First Winter Farmers Market of 2011 ! More info available by clicking HERE ! Oh and just in case you hadn't noticed I designed the flyer this year ! So enough boasting... here are the goods from week one ! as well as a big ole chunk of Camembert Cheese ! Merrimac was also excited to have some greens again! More farmer goodies to come ! then for lunch a salad with kraut, goat cheese and a lil cider garlic dressing !